Yes, I'm only interested in the titanium model. But I would not have my beautiful GMT II BLNR today if I'd taken the SS MC300 home when I almost did. Want and need, are they really the same? If not, I only need one of my watches, and want them all. Father John decided that need and want are one and the same, and picked this one watch. He's dumping his old watches like empty beer cans. I just can't say it's in my top three, or even top five yet, although the Ti model is pretty close. My Omega AD brushed the center links at my request. The problem is that the AD I usually go to doesn't employ a watchmaker. I think I'll take the bracelet to a jeweler's - they might be able to do it. 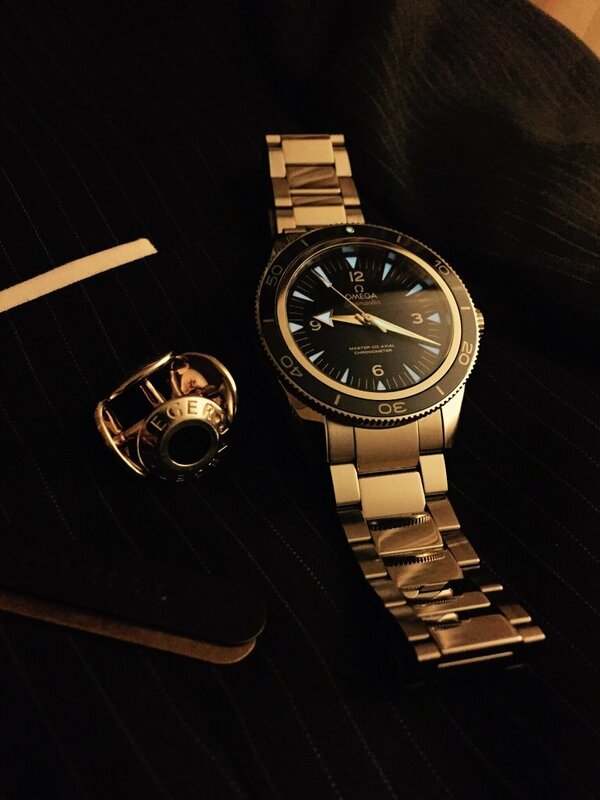 the Hamburg Omega boutique brushed the centre links from the outset last year because no one wanted the PCLs. They said people interested in it want a watch, not jewelry. Sloopjohnb, Horoticus, julywest and 4 others like this. You know you're going to buy it. Horoticus, julywest, snakeinthegear and 2 others like this. I likely will, but since starting in July I'll have to start writing a $4,800 check every month x 5 months for one daughter to do semester abroad this fall, I think I'll wait for Spring. I'm not really interested in getting student loans to send her to school just so I can free up cash to buy another watch. Well, now I feel like a d!ck. Sorry. Family first, always. And, congrats, sounds like a great opportunity for your daughter! It was actually in another thread that I posted that I'd have to pull 2 of my kids from college to buy any more watches right now. 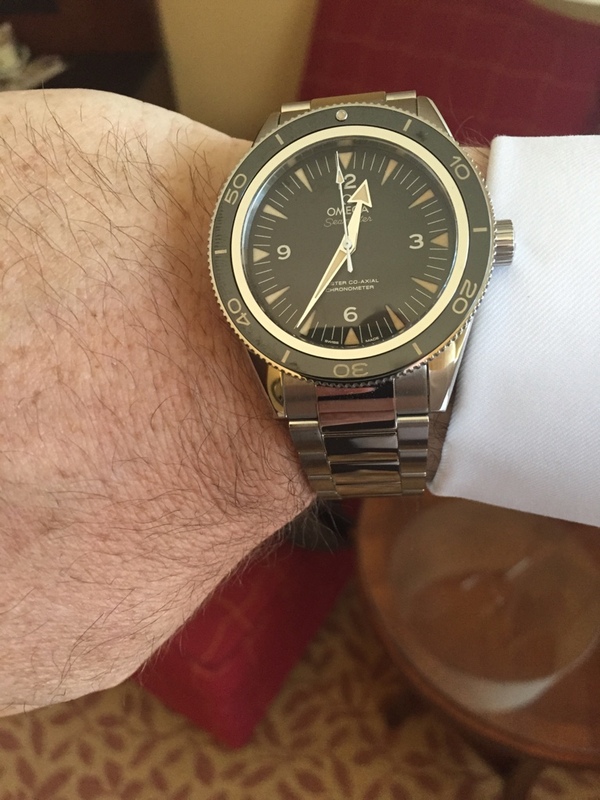 And then, I still don't know if I'll pick up an older Skyfall AT 38.5mm or a Seamaster 300 MC. 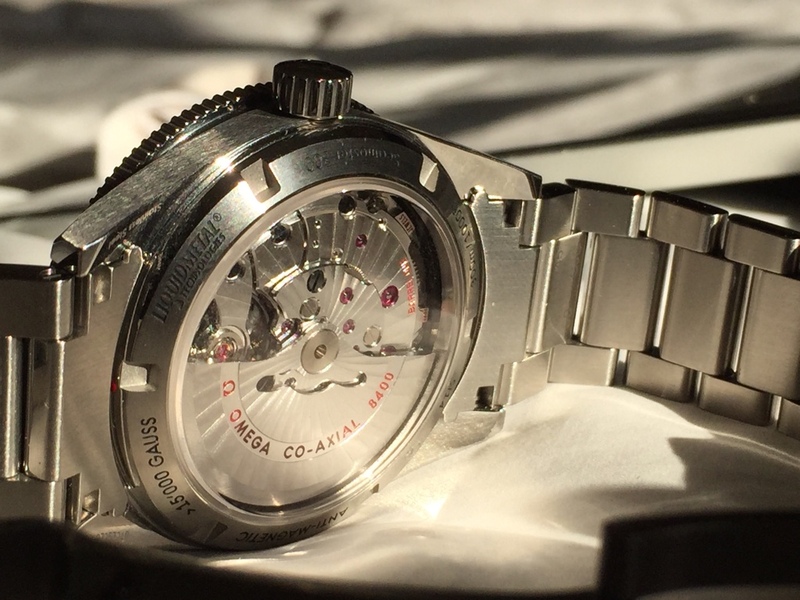 I usually like to have a date on all my watches, but I also know that the rotating bezel on the SM 300MC can be used to point at the date (using the minutes markers on the dial) or can be rotated for timing short events.